Professional Landscaping and Lawn Maintenance Located in Grand Rapids Michigan. Landscaping and Lawn Maintenance by Bykerk Landscaping has a reputation for providing professional service and quality work that exceeds the expectations of our clients. 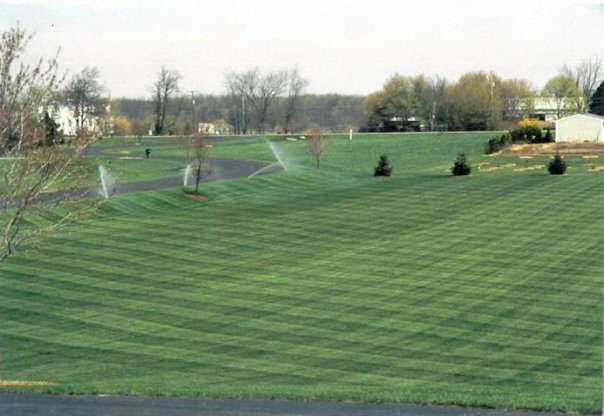 We offer our Grand Rapids Landscaping Services and Grand Rapids Lawn Maintenance Services to residential and commercial clients. We are convinced that a properly managed and expertly maintained landscape reflects the image and personal lifestyle of our clients, and also positively impacts their business’ appearance, their residential property value and aesthetics. Professional landscaping and the best lawn care service is what Bykerk landscaping in Grand Rapids, MI is all about. Cascade, Cutlerville, Dutton, East Grand Rapids, Forest Hills, Gaines, Grandville, Kentwood, Middleville & Wyoming. Bykerk Landscaping and Lawn Maintenance brings the right blend of educational background and industry experience to every job. Bykerk Landscaping and Lawn Maintenance, family owned and operated since 1975, still serves many of our original clients.